Andhra Pradesh will vote for the state Assembly and Lok Sabha simultaneously on April 11 and caste arithmetic will again play a key role in deciding the winner. But it is to be seen if the ruling Telugu Desam Party (TDP) would retain its hold over Kamma, Kappu and Other Backward Castes (OBCs) and whether its rival, the YSR Congress would get support from Reddy, Schedule Caste (SC), Muslims and Christians. 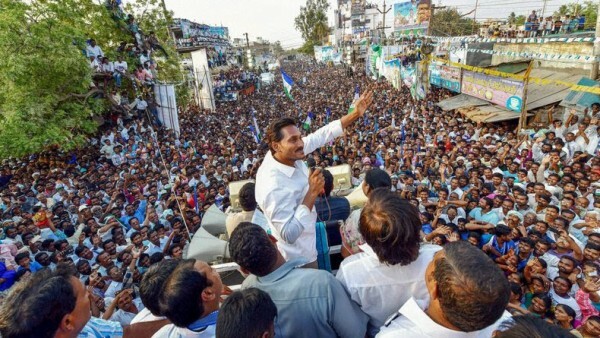 The state is witnessing a fierce contest between Chandrababu Naidu's TDP which came to power in 2014 and YS Jaganmohan Reddy's YSR Congress even though the Bharatiya Janata Party (BJP), the Congress and new entrant Jan Sena are expected to remain only a sideshow. The dynamics have changed a bit in 2019. Kappus, influential in the coastal region, had supported the TDP earlier, but this time there is a split in the community as some may rally behind new entrant Pawan Kalyan’s Jana Sena Party which has aligned with the Bahujan Samaj Party and the Left. The Kappus have been demanding reservation which was promised by the TDP but could not be delivered due to legal issues.